We offer a versatile service in computer repairs in Essex and Greater London. This includes desktop and laptop repairs. 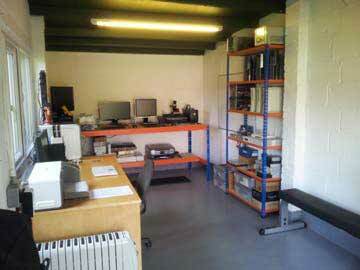 Repairs can either be carried out on site or back at my home workshop in Brentwood. Being a small family run business, we take pride in our work. You can expect a professional service at a reasonable price. We work on a no fix – no fee policy. More information about our computer repair services and prices can be viewed in the ‘Repair Services’ tab above. We offer mobile phone repairs, on or off site. Most brands of mobile phone can be repaired such as Apple and Samsung. We are able to fix problems such as cracked screens, broken buttons, broken cases, faulty battery and faulty speakers. We also offer bespoke web design, Search Engine Optimisation (SEO) and website maintenance packages. All our latest websites are designed using wordpress. This is one of the industries best design platforms for websites. Some of the most popular websites on the internet use wordpress, this is because of the powerful features it has to offer. Our expertise in wordpress combined with our artistic vision, enables us to make beautiful, professionally made websites, tailored to your specific needs. Websites can be hosted in your name, so you own the website, rather than the web designer. We always design and build websites with the end user in mind. Information about our website design packages can be viewed here.